Johnson's Baby Cornstarch Powder - 113 g | Multicolour | Clinically Proven. 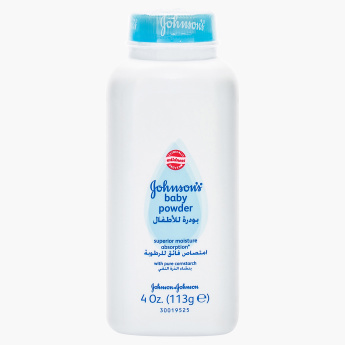 Sporting a trendy concept with healthy ingredients, this baby powder is a must for your little one. It is designed to absorb wetness and maintain smooth dry skin free from irritation. Feature 2 : Reduce the effect of rubbing and maintain your baby skin healthy ,soft and smooth. Feature 1 : Clinically Proven. Feature 3 : Absorbs excess wetness from the skin to keep you dry.